Dan's Adventures in Fiction: A Feast of Flash Fiction ... for Free! If you’ve been living under a rock for the past month or so, you’ll be unaware that today is National Flash Fiction Day. If, on the other hand, you’ve been anywhere near the internet recently, you won’t have been able to avoid hearing about the plethora of events, readings, and general goings-on that have been kicking off all over the place today, in celebration of sparky little stories. If you’re quick, you can pick up a copy of the official NFFD anthology, Jawbreakers, which is available absolutely free - today only - on Kindle (and if you don’t actually have a Kindle, you can get apps for your PC or phone, so don’t miss out). It’s also available as a printed book, but that’ll cost you a few quid. Plus there are lots of stories being posted online in various places for your delectation and delight, so it’s worth heading on over to the NFFD site and following a few links. But wait! Don’t go dashing off just yet. Because if you like free fiction, I have something exciting for you. … so I’ve decided to give my spare copy away (sorry, I’m keeping the signed one, which is the one I've read - the other one has sat patiently on the shelf ever since and is pretty much as-new). The one that's up for grabs is on the left, by the way. All you have to do to be in the running for the book is to leave a comment below. I’ll put all the names in a hat or a shoe or something and draw the winner at random next week, on 23rd May. I'll cover postage but will have to insist on UK entrants only, please (apologies to any international visitors). Good luck - and happy flashing! Let’s just say that at this point your chances of winning are excellent. Not so Perfect......Just like me!!! Me. Me me me me me. I'd like to go in the draw please! Hello! I just wanted to pop in here and say thanks, Dan! Best of luck to all who've entered! Please include me in your draw. Thanks for the opportunity! Sniff. UK entrants only. I can pay postage. 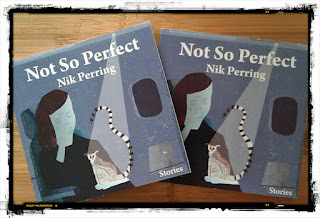 I would love to win Nik's book! Please add me to you list! 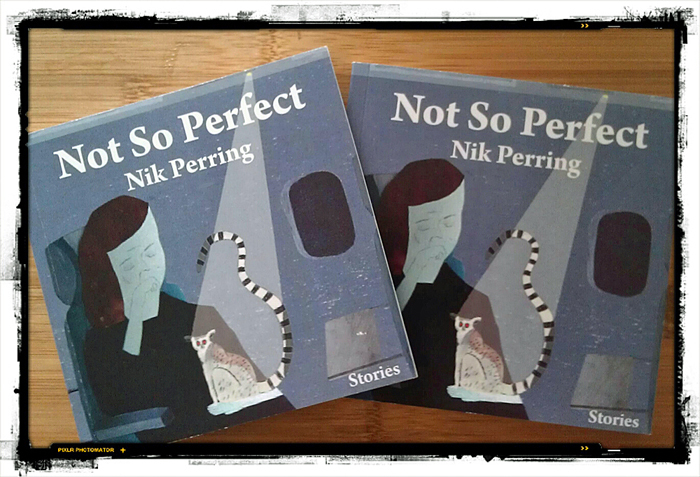 I have heard of Nik Perring and he's ace. Also my life is Not So Perfect, so please let me win. Hey all, it's great to have such a good response to this - it really is a cracking little book. There's a couple more days for any last-minute entries, so keep 'em coming!